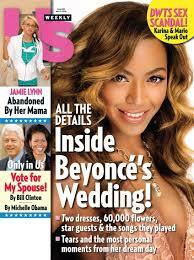 You can get a great deal on this US Weekly reduced price magazine subscription through Groupon. The deal offers a 52 week (or 1 year) subscription at just $34. That means it only cost $.65 per week!!! Most magazines only run once every month. So, this is incredible value for all of the content by comparison. The normal, retail price of subscription for the magazine is $69! The timer for Groupon says this one will only run for the next 9 hours! Don’t miss out!